EDIT – If you are looking to find emails and phone numbers from LinkedIn, you can use our free email and phone number finder chrome plugin. Modern businesses can’t really fare without B2B database softwares. The B2B Database Softwares are synonymous with B2B database providers that allow you to access and collect vital business data. Apart from this, they also help you optimize your business as well. Furthermore, all these B2B Database softwares available on the web automate the whole process of data collection and organization. B2B Database Softwares are somewhat a necessity for startups. Keeping this in mind, we will discuss the top 3 B2B database softwares for the U.S. startups that should make your prospecting process easier and swift. ZoomInfo is based in Waltham, Massachusetts and caters to the information need of various sales, marketing and recruiting professionals by providing access to its database. 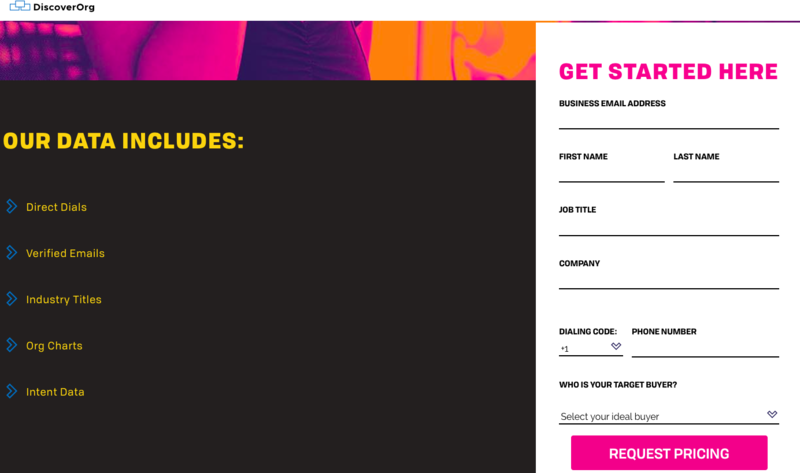 They help businesses achieve profitable growth by providing access to a comprehensive B2B database which enables marketing and sales professionals to identify, connect and engage with their potential customers or qualified prospects. This B2B Database Software is generally used for prospecting and lead generation purposes, however, it is also vastly used for gathering information regarding accountancy and finance. ZoomInfo gathers data on the various U.S. and international businesses and professionals. The data is gathered via web crawling and email plugins and includes information such as name, title, company, direct dial and business email. Users can build targeted lists using ZoomInfo. You can further filter or categorize your list as per various domains including Customer Service, Finance and more. The data included generally focuses on insights about the prospects and companies such as their revenue, number of employees and more. The users can also enhance the database. ZoomInfo is of little help if you want to gather information regarding consumer or credit. Therefore, you won’t find information regarding age, family details, personal emails, mobile phone numbers or other personal data. ZoomInfo focuses strictly on your professional persona. ZoomInfo is touted as one of the premier B2B database softwares, however, it lacks integration to email systems or platforms like ClearSlide and Outreach etc. It only offers integration with Salesforce which makes it a bit elusive for a lot of companies and individuals. ZoomInfo tells about the pricing information and the final cost only upon request after getting in touch with the company. However, according to various sources, ZoomInfo charges $4900 for an annual subscription. To get final pricing information you have to contact ZoomInfo by entering your business email and clicking the “Get Pricing” button. Aeroleads is a prospect and lead generation software started with which serves as an intelligent solution to the otherwise cluttered sales process. This SaaS-based tool automates the whole process of finding the relevant details associated with the business of their clients irrespective of the business type. Although AeroLeads is generally talked of as a lead generation and lead mining tool that offers its users with business leads from Google, Yahoo Local, and Yellow Pages, however, it is also counted among one of the best B2B Database softwares owing to its intelligent, cloud-based data gathering feature. Rather than storing data in directories, AeroLeads gathers data in real time which negates the chances of data getting stale. Owing to its real-time data crawling, AeroLeads provides more than 95% accuracy in data. AeroLeads also offers a Google Chrome extension, therefore the sales & marketing team has quick and easy access to contact information which can be captured in real time from reliable sources. AeroLeads is extremely easy to use even for a novice as it emulates the Google search system. All you have to do is to perform a “quick search” to gather information. Users can enter the specifications to get personalized or targeted results. You can also verify the email address that you acquire as AeroLeads also offer an integrated email verifier that can verify bulk emails for free. Sometimes, AeroLeads acquires irrelevant or email address or contact number of the company instead of the personal information. AeroLeads does not accept less than 300 leads for their service work. AeroLeads offers four package options to choose from. The services start at $ 49 per month and go up to $499 per month. The fourth package is actually a customizable package. It can be personalized as per the preference of an individual or a business. DiscoverOrg is a sales and marketing intelligence platform providing access to accurate data, org charts, and real-time projects. DiscoverOrg’s database covers information based on decision-makers in IT, Marketing, Sales, Finance and various other sectors across the globe. Although it is one of the best B2B database softwares in the market, it mainly covers vast and expansive territories. Thus, it is not needed by every sale and marketing professional and generally caters to the selected few salespeople who can use it to its full potential. The system/directory of the DiscoverOrg is always up to date and they almost always offer only updated information regarding phone numbers, email addresses, leadership changes, and project details. The expansive team at DiscoverOrg makes sure that all the data they offer is updated by verifying it at least once every 90 days. At least 95% if data offered by DiscoverOrg is accurate as is discernible from their rigorous and consistent testing process. It also offers a wide array of integrations with various CRM applications including Act-on, Eloqua, HubSpot, Marketo, Microsoft Dynamics, NetSuite, Salesforce, SalesLoft, Sugar CRM, Talent Rover, Bullhorn, Outreach, and Zoho. The sales and marketing team can make the list of the gathered prospects and their information based upon any criteria they want. It offers an interesting feature called “OppAlert”. This feature enables the sales and marketing professionals to set alert for their target audience and other additional specifications. DiscoverOrg also covers areas like the project-related improvement ideas, changes in leadership and more. As aforementioned, DiscoverOrg covers vast territories. Thus, it is more suited to large scale companies or the companies that are interested in scaling huge territories for their leads. A novice would find it somewhat difficult to navigate as the functionality is a bit complex, especially when it comes to their Alert option. So, the whole system might still be confusing to those who are not used to the system. Despite the rigorous testing by the team members, the information can still turn out to be irrelevant sometimes. They offer a quote based system. However, according to various online reviews, we can discern their services cost around $24,000+/ per year. DiscoverOrg offers a customizable package to suit the needs of each individual or business. 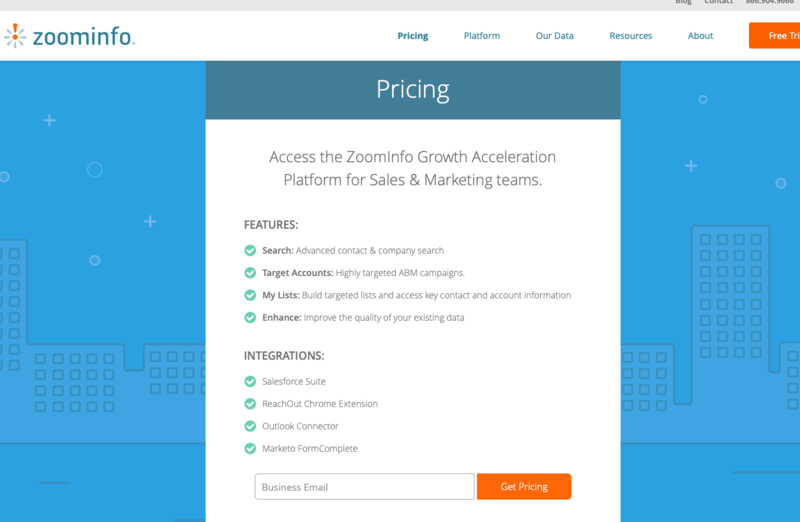 Just like ZoomInfo, DiscoverOrg also gives out final pricing information after you contact them. They also offer a demo package so that the prospect can get familiar with the product. These were one of the best B2B database softwares for the U.S. based startups. However, these tools are equally effective for other regions as well. If you are just starting out, you are probably more inclined towards AeroLeads as it offers budget packages. Moreover, it also offers real-time data gathering options which makes it more accurate. So, do you think that these B2B database providers can help you boost your business? 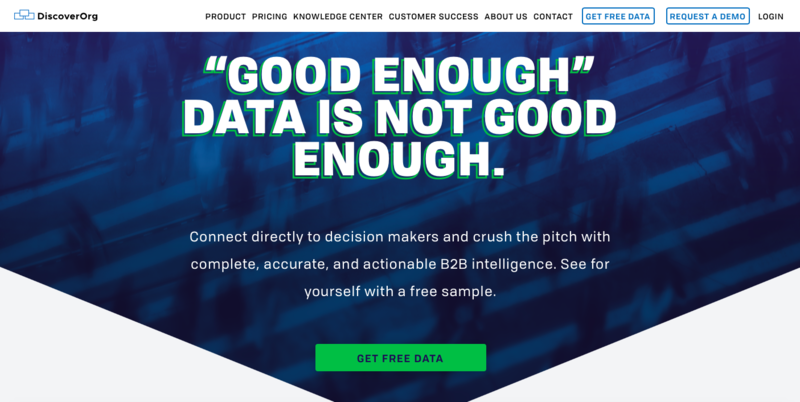 Which B2B database softwares are you using for your startup?